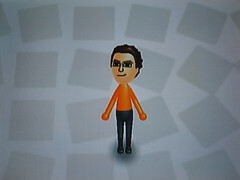 This is me as a Mii. Or is it, "this is I as a Mii". You know what I Mii'n. Message me your Wii Friend Code.